Work for Amazon VPC PrivateLink? Learning about Amazon VPC PrivateLink? "Amazon VPC for Secure Connectivity "
PrivateLink is definitely an AWS service that creates private VPC endpoints, allowing direct, secure connectivity between your AWS VPCs without traversing the general public Internet. Because Snowflake is implemented as a VPC, PrivateLink enables creating a highly-secure network between Snowflake and your other VPCs (in the exact same AWS region), fully protected from unauthorized external access. After Snowflake enables PrivateLink for your account, that might take as much as 2 weeks, you need to complete the procedure by configuring your VPC environment as described in this topic. When you request PrivateLink to be enabled, you must provide Snowflake with a list of all your AWS account IDs. We use Amazon VPC privatelink to secure the traffic in a scalable manner , simplify our network management and also to accelerate cloud migration . "Fantastic Virtual Private Computer Service"
Extremely fast, never have a problem with the server, at the moment cant say that the server went down. About support, I had a problem with the internet conection and I received a solution in 5 minutes, the team support is amazing, replied quickly and fixed in the same way. 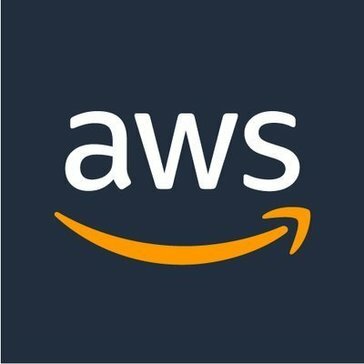 "Amazon VPC PrivateLink - Review "
AmazonVPC allows you to connect between AWS servers without going over the public Internet, which ensures the security of our virtual infrastructures. I did not find any disadvantage in this solution. Apart from the little intuitive interface, I have not noticed any more disadvantages of this solution. For security, this is great because there is a secure encrypted-like file sending service. I love the ability to have security with my messaging. I dislike that there isn’t an app or a section for amazon private link to personalize or enable certain aspects of the service in the amazon app. Business problems being solved include the security truly being effective. At our company, we have important files that can’t be shared with others as it contributes to a bigger cause. "A long-awaited solution for all AWS customers"
Help me running virtual private clouds to directly access storage and database services without routing traffic onto the public internet. It is not free.Even though the price is minimum you still have to pay for it. PrivateLink makes APIs available to customers inside their virtual private clouds, delivering greater availability and scalability. "Ease of Use is amazing"
"Migrated from EC2 to VPC "
VPC provides great amount of security compared to EC2. Easy to use. Allows me to not have to worry about payments, as they process them automatically. I have not come across anything I do not like as of yet. It allows my payments to be process securely, which keeps my customers happy. * We monitor all Amazon VPC PrivateLink reviews to prevent fraudulent reviews and keep review quality high. We do not post reviews by company employees or direct competitors. Validated reviews require the user to submit a screenshot of the product containing their user ID, in order to verify a user is an actual user of the product. Hi there! Are you looking to implement a solution like Amazon VPC PrivateLink?